Ruffer Investment Company is designed to deliver steady all-weather returns across the cycle – aiming to protect capital in falling markets and deliver double the Bank of England base rate on a twelve-month rolling basis. 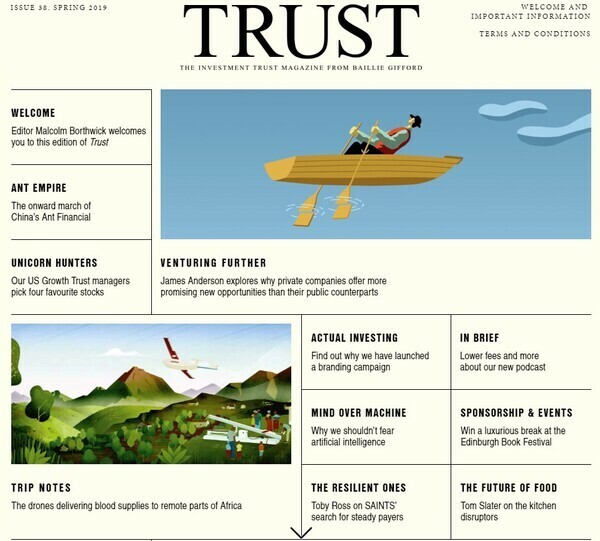 Primarily a long only vehicle, the trust also uses currencies and derivatives as part of its investment process and is managed on a day-to-day basis by Steve Russell, Hamish Baillie and Duncan MacInnes. The managers have believed for a long time that efforts to reflate the economy will eventually result in too much inflation, which central banks will find hard to control, and the portfolio is designed to perform well in an inflationary environment, with significant exposure to UK and US index linked treasuries. In the meantime, however, the managers aim to generate returns – and just under half of the portfolio is invested in equities which are a mix of special situations, macro-opportunities and value plays. The trust has delivered muted returns in recent years as the managers’ stance has not matched the mood of the market. A rampant bull market is not ideal for a trust of this nature, which will underperform its more 'growthy' peers. The trust won acclaim for its performance in 2008 – when it delivered positive returns of 24% while over the same period the market lost 29% - but it has shown similar resilience in other negative periods. Since the fund was launched, it has delivered annualised returns of 7.8%, not far behind the FTSE All Share’s 8.6%, whilst keeping a tight grip on volatility; with a max drawdown over that period of -8.6% in stark contrast to the 45% recorded by the index.